And we thought last year was huge! Happy 4/4^2 day! Thanks to all of you amazing people, for organizing over 1000 parties around the world for our little startup! We would give a speech, but we’re just trying to hold back our tears. Check-In am 16. April 2011. 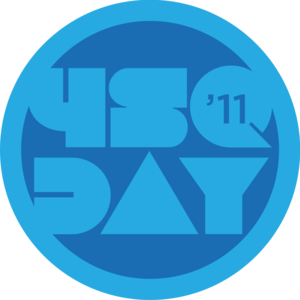 Wie bekomme ich die 4sqDay 2011 Badge? Am Foursquare-Geburtstag, dem 16. April 2011 in eine Location einchecken in der Du bereits Mayor bist, oder aber noch nie zuvor warst.